If you happened to miss the premiere of The Wild And Wonderful Whites of West Virginia at the Tribeca Film Festival in April, you can catch it this weekend down on Long Beach Island, NJ at the Lighthouse International Film Festival. Synopsis: Shoot-outs, robberies, gas-huffing , drug dealing, pill popping, murders, and tap dancing — what do these all have in common? These are just a few of the parts of being a member of the Wild and Wonderful White Family. Nestled deep in the Appalachian Mountains, the White family lives an existence more like something from the Wild West than modern day suburbified America. The legendary family is as known for their wild, excessive criminal ways as they are for their famous mountain dancing members, including Jesco White, the star of the cult classic documentary Dancing Outlaw. Exploring both the comic and tragic sides of life on the other side of the law, this stylish, fast-paced family portrait exposes the powerful forces of corruption, poverty, and West Virginia’s environmentally and culturally devastating coal mining culture that helped shape the White family, a dying breed of outlaws preserving a dying form of dance. Over the course of one tumultuous year, the Whites deal with a stabbing, criminal sentencing, attempted murder, death and birth. 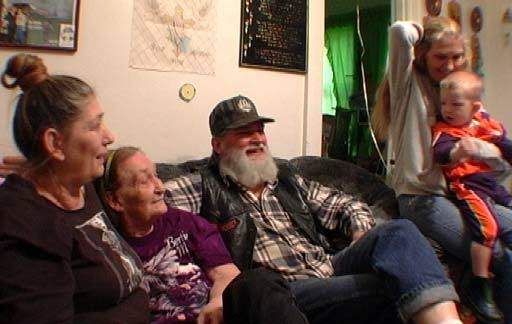 On top of all this, Jesco, the family’s dancing muse, comments on the family through his performances accompanied by legendary country singer Hank Williams III. Watch as an older generation of the White family comes to terms with the lives they have lived while the younger generation struggles to decide whether they will join their outlaw forefathers or break from the family’s criminal traditions.